Located just two blocks from the North Carolina State Capitol in the heart of downtown Raleigh, The Stockroom at 230 is housed in the Carolina Trust Building, a four-story Classical Revival building originally constructed in 1902. The second floor of that building, used as a stockroom for a major retail store nearly 100 years ago, now serves as a unique, urban meetings and events venue known for its rustic feel. 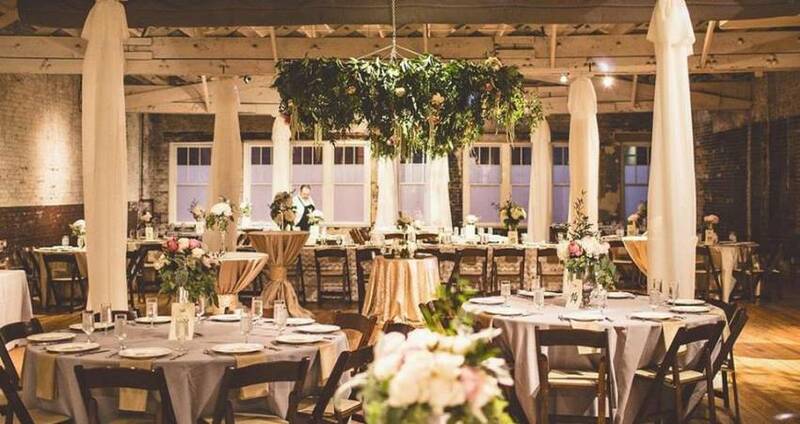 Exposed brick walls, restored hardwood floors, stunning city views and 3,800 total square feet of meeting space make this venue a popular choice for all sorts of events-weddings (ceremony and receptions), holiday parties and all types of corporate events. An open floor plan allows for seated dinners of up to 185 guests, and standing room events can hold 375 attendees. It&apos;s all wheelchair-accessible, too. Check out their video on Facebook to see more of the space! For more information on The Stockroom at 230 and other unique venues in Raleigh, N.C., contact our sales team today!